I’ve always loved books and stories, and creating artwork – especially with clay, Plasticine, or fondant. Ever since becoming a minister, I’ve written my own children’s curriculum for programs at the churches I’ve worked at. 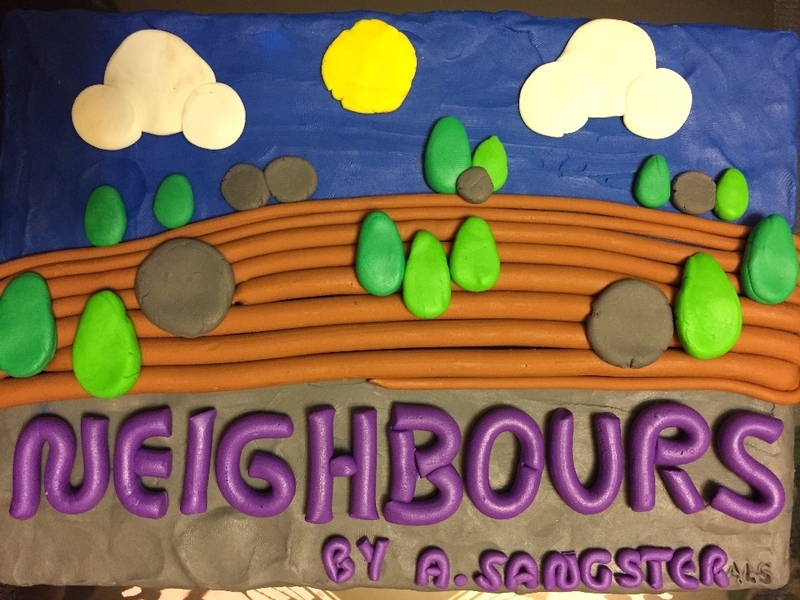 This past summer (2016), I drafted an Arts and Crafts related curriculum called “Who is my Neighbour?” based on the Golden Rule & the Good Samaritan story. The purpose of this curriculum was was to give the participants a creative/expressive way to explore the differences and more importantly the common theme of loving one another throughout other faith traditions. I looked for a few different versions of the Good Samaritan story, but none felt quite right to me. At least not right for an “arts” camp. So I decided to make my own. The campers loved it. It sat at home on my counter for two weeks when my almost three year old niece came to visit with her little friend. The girls asked what it was, so I told them the story. At the end my niece immediately said “Again.” I knew then that I needed to share the story with more children. I’m self-publishing my book with Gaspereau Press , in Kentville Nova Scotia. My “job” may be a minister, but my vocation in life is to help people learn how to love others. I feel this story is one way of doing that. This story is a labour of love – but that’s what I’m here to do! Books are $10 each (includes shipping). Please contact me (annikasangster at gmail.com) if you are interested in selling my books or wish to purchase a book, plasticine mat, or .PPT through e-transfer. $1 from the sale of each book goes to St. Luke’s United Church for Faith Formation/Children’s Programming! You can also pick up a copy of “Neighbours” at The GALA Office in Guysborough, Cole Harbour Woodside Resource Distribution Centre, Otis & Clementine in Upper Tantallon or The Maritime Conference Office in Sackville, NB.